Senator Ryan P. Aument is hosting a walk and talk through River Front Park in Marietta (1632 Old River Road) to discuss important state and local issues on Thursday, May 2nd from 4:00 – 5:30 p.m.
As a constituent of his district, you are being invited to attend. Click on the link below for additional information about this event. What is Lycorma delicatula and why should you care? 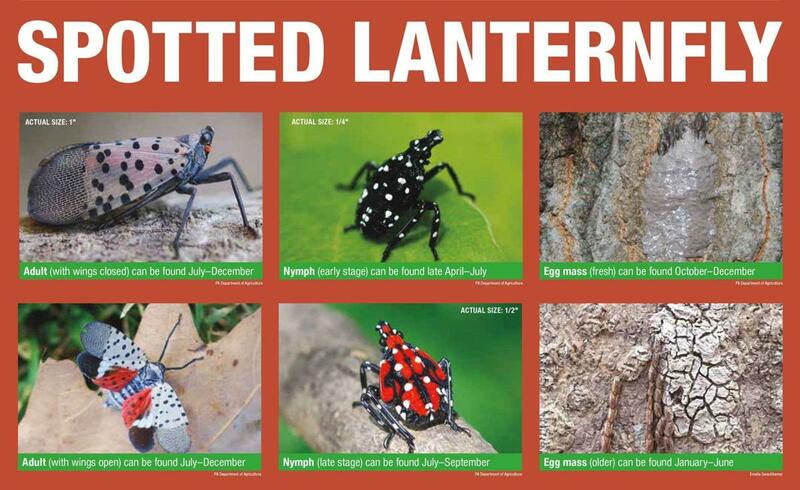 Lycorma delicatula, commonly known as the Spotted Lanternfly, is a new invasive insect that has spread throughout southeastern Pennsylvania since its discovery in Berks County in 2014. The Spotted Lanternfly presents a significant threat to Pennsylvania agriculture, including the grape, tree-fruit, hardwood and nursery industries, which collectively are worth nearly $18 billion to the state’s economy. 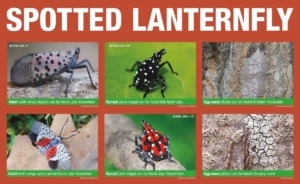 REPORT spotted lanternfly sightings at extension.psu.edu/spotted-lanternfly or call 1-888-4BAD-FLY (1-888-422-3359). DESTROY all life stages that you find. Make sure you are not moving any life stage of spotted lanternfly when traveling within or out of the quarantine zone. Check your car and outdoor equipment before traveling. SHARE your knowledge with friends, family, and neighbors. The Spring/Summer 2019 Newsletter is here! Use the link below to download the latest edition of the Mountville Borough Newsletter. If you have driveways and garages, park your vehicles off street. This will allow the snow removal team to clear the Borough streets curb to curb and helps prevent having your vehicle(s) plowed in. Unfortunately, it is impossible for snowplows to avoid having snow placed at the bottom of driveways. It will be helpful if you shovel snow in your driveway to the right side of your driveway (as you face the road). In addition, clear the area immediately to the left of your driveway which will allow the plow to unload before reaching your driveway and avoid the bulk of the snow to be pushed back onto the driveway. Do not shovel, blow, or plow the snow from your driveway and/or sidewalk into the roadway at any time. This creates hazardous driving conditions and is a violation of both State and Borough laws. Mountville Borough has an ordinance that states that a pathway of at least three feet (3’) in width must be cleared within 24 hours after the snow has ceased. There are penalties that may apply if this ordinance is not obeyed. This is for the safety of all pedestrians, especially our school children. Please keep storm drains opened and fire hydrants cleared that are near your residence. Make sure you have emergency supplies for your entire household in case you end up having to remain in your home for a few days. Be a good Samaritan and check on your elderly neighbors to see if they need someone to run errands or remove the snow on their property. Many thanks for your cooperation and assistance! Borough residency of one (1) year required. For additional details and/or information on how to apply, please contact the Mountville Borough Office at (717) 285-5547.